Conservation brings global benefits like the prevention of species’ extinctions, as well as national benefits such as contributions to the country’s economy. Most fundamental of all, however, are the benefits that conservation brings to local communities. These benefits could be direct—employment through the tourism industry, for example—or indirect, such as protection from floods. Each CEPF project is designed as a win-win: a win for biodiversity conservation and a win for the community. “Conservation isn’t something that can be imposed on people. Rather, we should empower people to conserve their own biodiversity,” CEPF Managing Director Jack Tordoff said. Gievance mechanism in Rukiga/Rutwa language, Uganda. For example, if farmers have traditionally grazed their goats on a nearby mountain, but that practice is causing vegetation damage and soil erosion and thus harming the ecosystem, conservationists can’t simply ask the farmers to give up their livelihoods. Negotiations need to take place so that the farmers are happy to make the transition from their current practices to new practices. In the event that negative impacts can’t be avoided, appropriate mitigation measures, such as compensation, need to be put into place. 1. People are involved in an activity the conservationists weren’t made aware of. For example, a group of the community performs cultural rituals in a secluded part of the nearby forest. Then, because of a conservation project, researchers begin visiting this once secretive site. This is where the grievance mechanism comes in. Simply put, a grievance mechanism is a way for someone to express their concerns about a project. 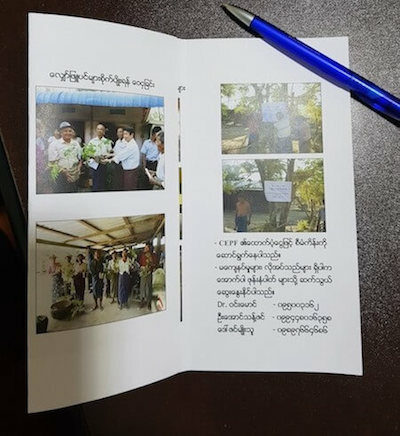 Grievance brochure in Burmese by Myanmar Environment Institute. All CEPF grantees are expected to establish a grievance mechanism, regardless of whether or not their project has triggered a safeguard. By allowing an avenue for complaint, the grievance mechanism helps ensure that community members are supportive of the project and, if they’re not, it provides a structure for addressing the problem. All three contacts need to be listed because there may be cases when people are not comfortable raising issues directly with the grantee. For example, the issue may relate to a staff member’s behavior. The local context should be considered when deciding what type of contact information to include. If everyone in the community has a smart phone, it would make sense to include the contacts’ email addresses. In other places, telephone numbers or even mailing addresses might make more sense. How do you implement a grievance mechanism? For a grievance mechanism to be useful, stakeholders need to know about it. Therefore, it’s important to consider the local context and how community members share and receive information. 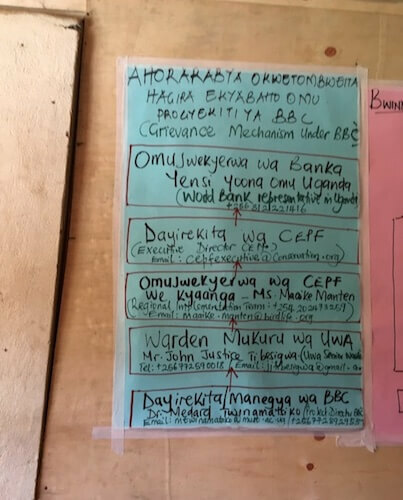 Often, the simplest way is to make the information available through posters or leaflets written in the local language(s). Sharing the information during community meetings is also a possibility, but this is not always the best option because some people may not feel comfortable raising their concerns in a public forum. 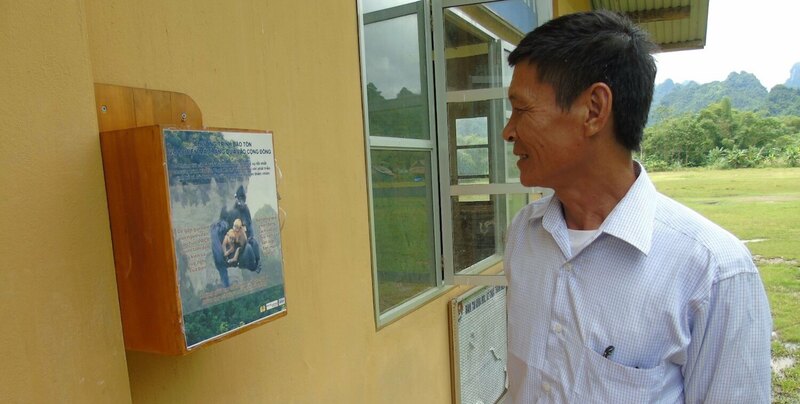 For that reason, some past CEPF grantees have provided a box with a padlock where people can deposit anonymous notes. How do you manage a grievance? All reported grievances must be treated confidentially so that the complainant doesn’t need to fear retribution. There’s no one right process for managing a grievance that is received. Some grantees organize a panel that reviews any complaints and offers guidance on next steps. Others work with the local government or traditional leaders to find a solution. Regardless of the process, within 15 days of receiving a complaint, the grantee must alert CEPF and the regional implementation team that a grievance has been received and explain how they plan to address it.